This just goes to show that no matter how much I do, there is always something new to see. Glad no one got hurt with this. Probably no way to tell how long it was like that. You do understand that if you were trying to make this happen, it would have never occurred, correct? We chased an intermittent short caused by this same thing a number of years ago. When the water froze there was no short and when the ice melted the pipe made contact with the wire and caused the fuse to blow. At my home I ran conduit for my phone out to the pole using rigid risers and nineties and PVC between the house and the pole. The second winter the water froze in the 90 at the house and actually pulled the phone cable apart. The cable was the standard 3 pair underground cable with the gopher shield and it was completely separated by the action of the ice. I ran temp over the ground for the rest of the winter and when I replaced the cable in the spring, I drilled holes in the conduit to allow the water to drain and have not had a problem since. 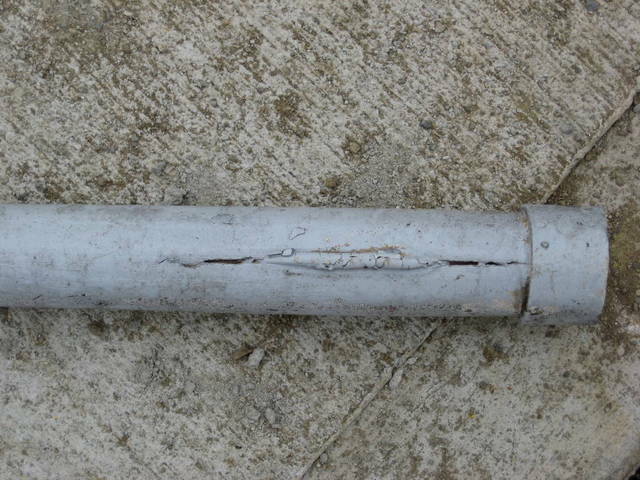 I have also had the fibers of a fiber optic cable crushed and broke by the action of ice in rigid conduit. 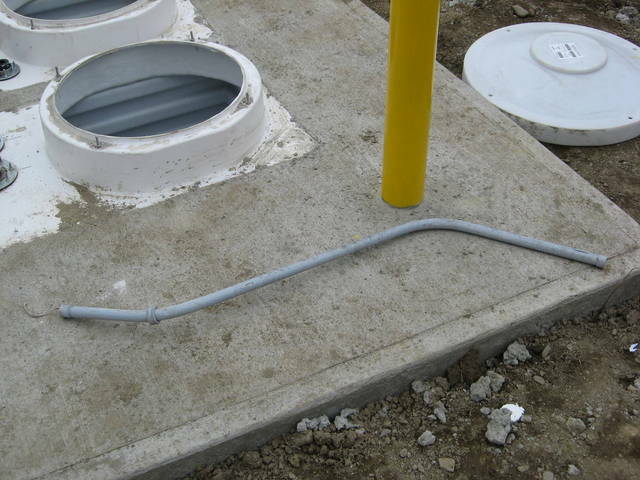 I made a proposal a number of cycles ago to require that rigid conduit and concrete encased conduit be installed below the frost line for underground installations to prevent problems like this but it was rejected.